Please read through the following carefully as it contains important information about the Boat Tour, Tavern Tour, physical tickets, and more. It’s critical that you RSVP! We have had issues with no shows and it’s important you help us save costs for this event! This year you will need a lanyard ticket to board the bus and/or boat. Register for the event by paying $1.00 per RSVP with a credit card to hold your seat. You will need the code on your receipt in order to receive your lanyard. Note: Your receipt code with start with the hashtag (#) symbol. BE SURE TO BRING YOUR CODE WITH YOU WHEN PICKING UP YOUR LANYARDS! 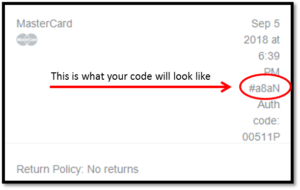 The only way for you to receive your lanyard is to show proof of your receipt code. If you have not RSVP’D through the Gilbert Brown Foundations website, you will NOT receive a lanyard. You MUST pay the $1 per RSVP. Your credit card will be run for $100 per ticket if you do not have your entire RSVP’d party show up. If you are RSVP’ing for someone else or a group, you are responsible for that entire reservation. Ex: If you RSVP’D for 5 people and only 2 show up your card will be charged $300 for the 3 people who did not attend. When RSVP’ing, make sure to select the quantity as the amount of people that will be attending the Boat and/or Tavern Tour. Ex: I won four tickets to the Tavern Tour, but only 2 people are going. I make my quantity 2. If you are going with a group and you would all like to be on the same bus, we ask that you create a group name. When others in your group RSVP they should list the group name in the Additional Notes before finalizing check-out.